Reviews of all court reporting items and services. StenoWatchdog was created in September of 2007 by Marc Greenberg, CRI, as a way for the court reporting community to give feedback on the products and services they use. In 2015, Marc decided to relaunch the website with a cleaner, more efficient look. All previous ratings and reviews have been erased – clean start for everyone! Marc Greenberg, CRI, has been a court reporting instructor for over 20 years. After working as the Program Coordinator for a campus school in California for several years, Marc launched his SimplySteno Court Reporting Program in 2005. Marc has also created many other steno-related websites such as StenoLife.com, SpeedBuilders.com, RPRprep.com, StenoTube.com and others. 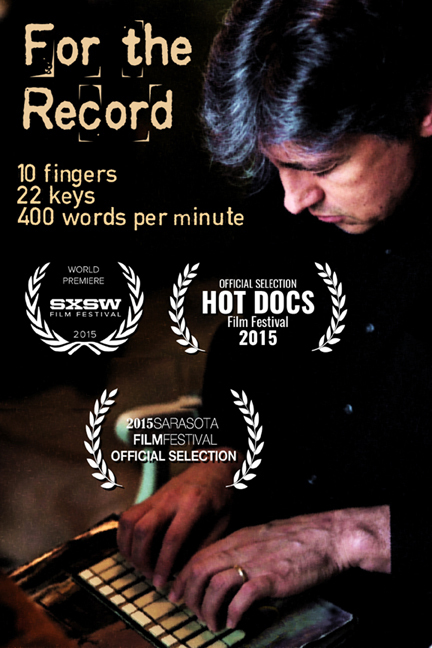 In 2015, Marc finished production on his court reporting documentary, For the Record, which was selected to screen at SXSW, HotDocs and the Sarasota Film Festival.